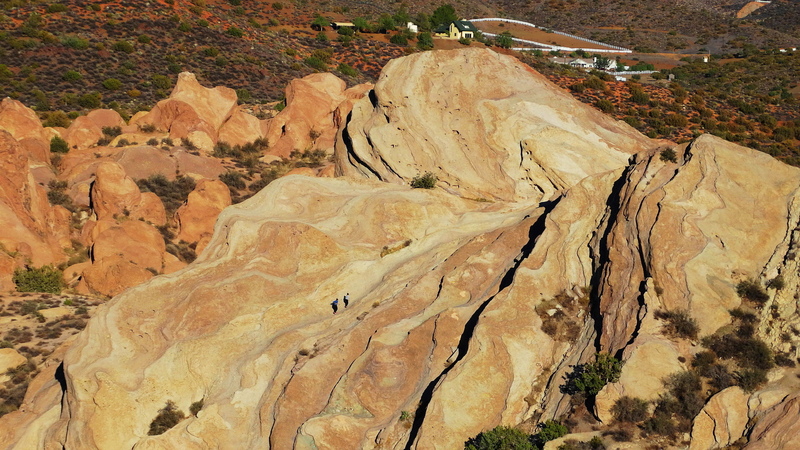 Vasquez Rocks State Park, located in Southern California, was created 25 million years ago by collision and uplift of the North American and Pacific Tectonic Plates. 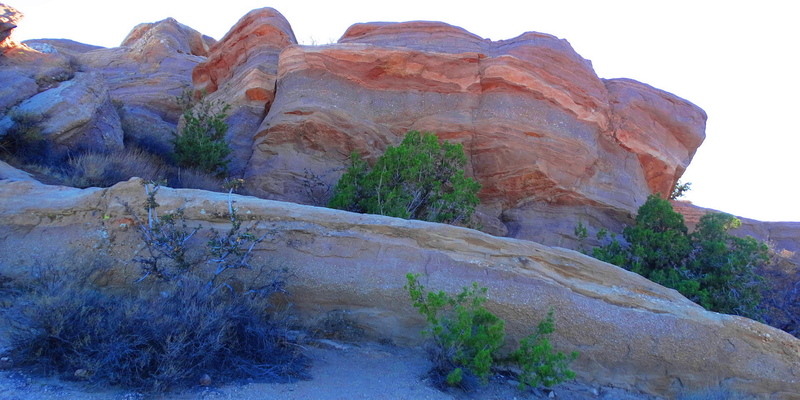 You can see the two people climbing in this shot (Please click to enlarge). 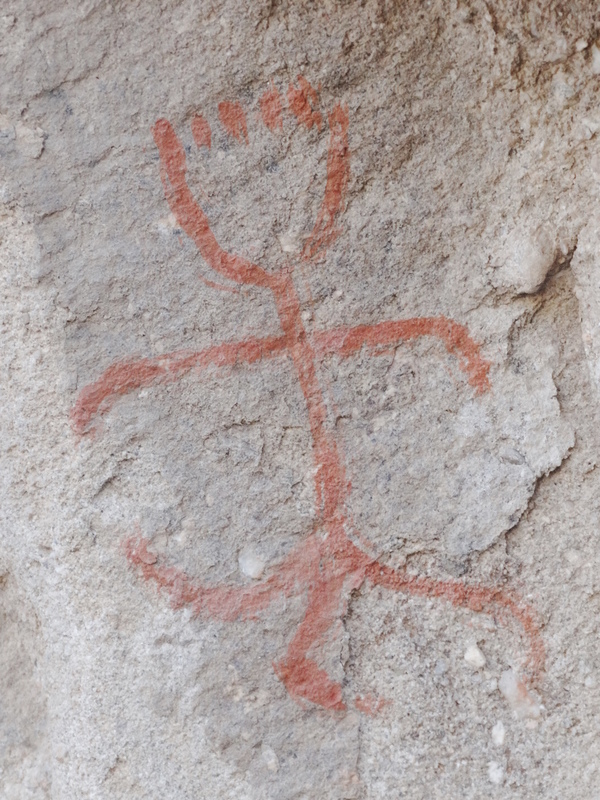 The park was home for thousands of years to the Tatavium Native Americans who left petroglyphs all over the park dated from up to 9000 years ago. 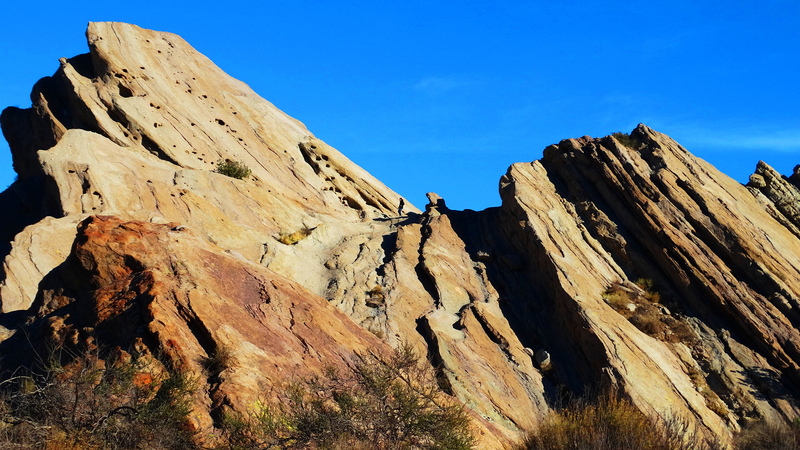 Lying directly above the San Andreas Fault, these rocks were exposed and tilted more recently by movement along The San Andreas. 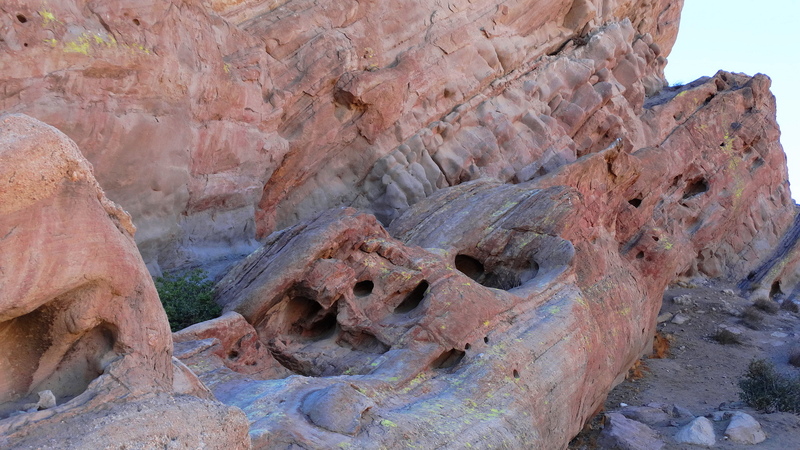 See the person in this shot for scale. 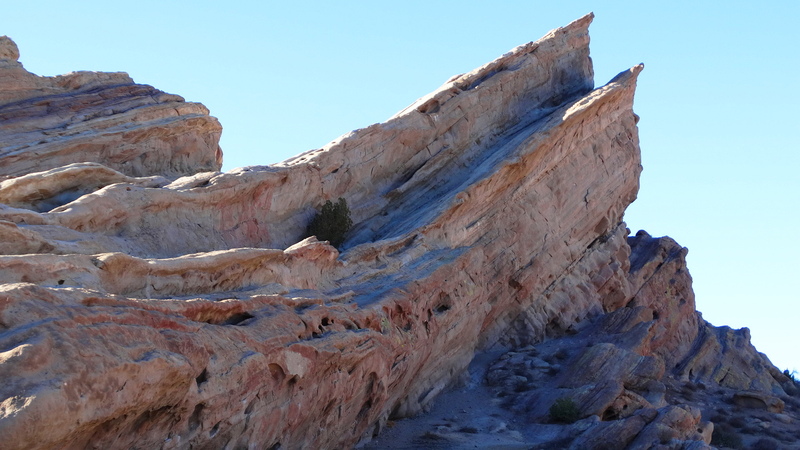 The park is named after Tiburcio Vasquez, an infamous California bandit, who used the rocks to hide from law enforcement from 1873-1874. The Pacific Crest Trail runs directly through the park.